Mounting samples on pegs. 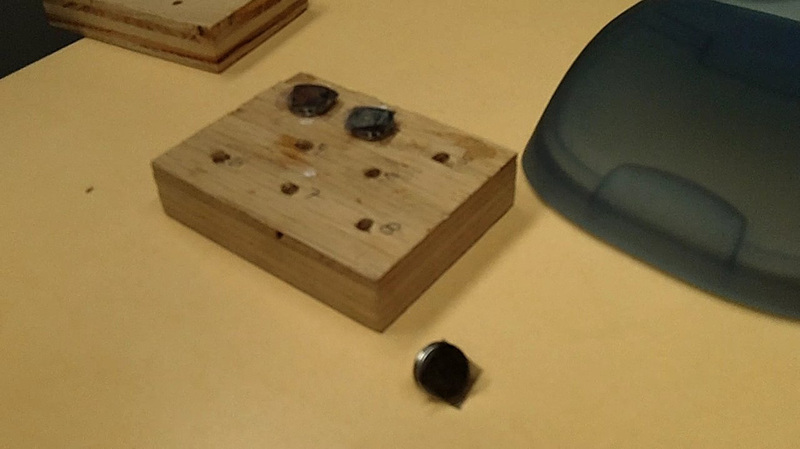 Samples are adhered to the pegs by carbon tape. Pegs with samples are placed into a holding structure on the microscope stage. The microscope is locked down. For information on how SEM works there are many informative articles online. 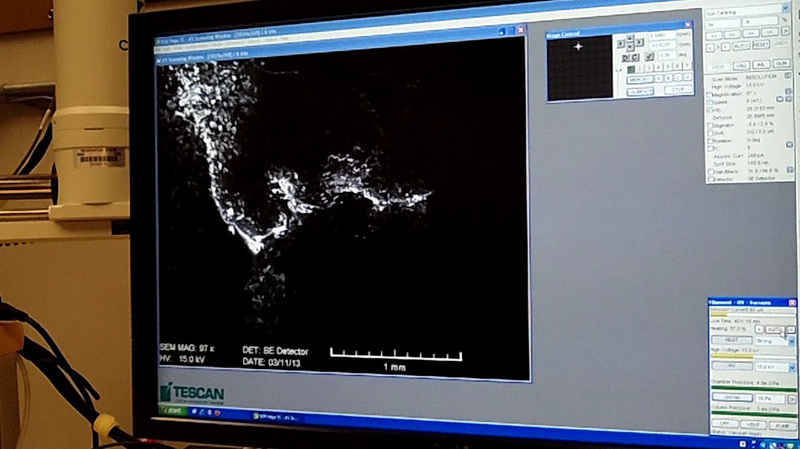 A screen shot of the image of particulates in a sample. Screen shot of sample results. Each spike indicates the quantity of an element. With mineral pigment analysis, when comparing these results with other sample results I can determine where a specific pigment originated. This website under construction. Please return soon to see what is new.